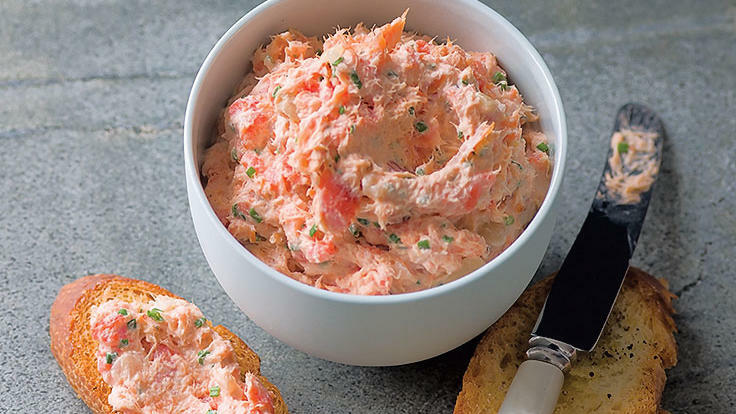 Keep most of the ingredients for this splurge-worthy appetizer on hand, then pick up fresh crab and bread, and put it together in no time. 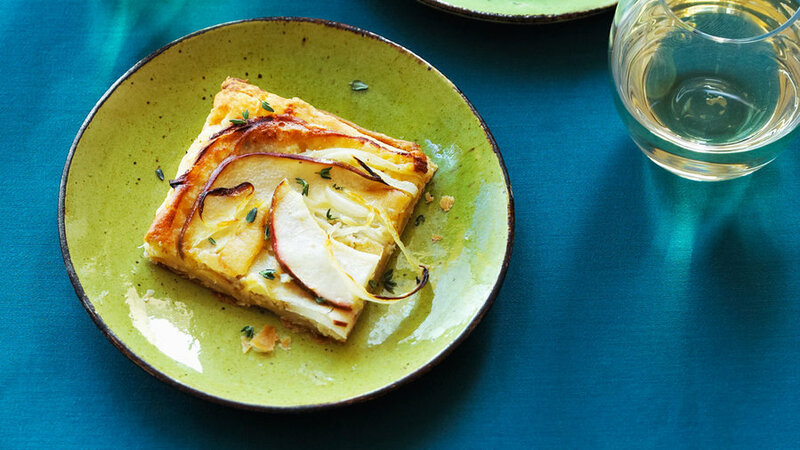 We cut this tart up into small pieces for an elegant appetizer, but you could also slice it into large wedges and serve it with a green salad for a light meal. 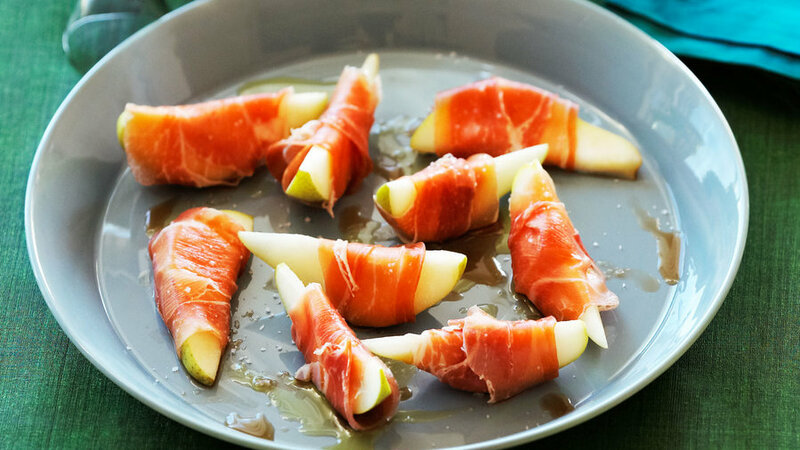 Any ripe pear works with this easy, sweet-savory appetizer—and if you don’t have sherry vinegar, just use white-wine vinegar instead. Chopped kalamata olives, capers, and a splash of white balsamic vinegar add Mediterranean flavor to liven up this classic appetizer. 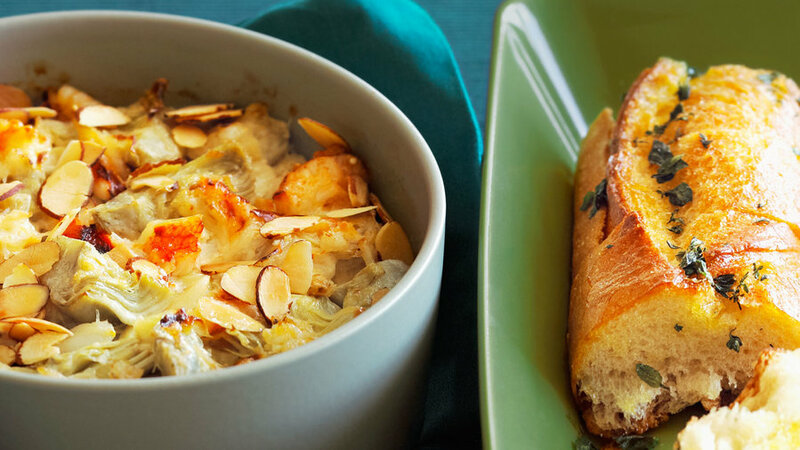 Rillettes are coarse, pâté-like French spreads typically made from duck, pork, or rabbit. Our salmon version is a lighter take on the traditional dish. 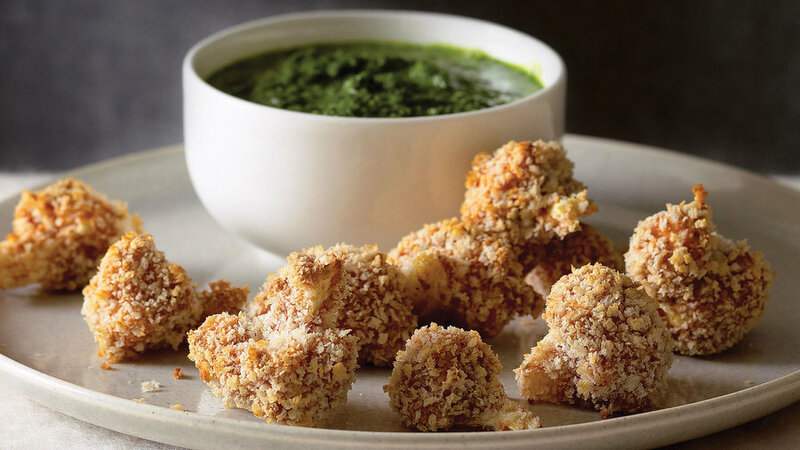 The panko coating on these little poppers gives them an addictive crispy exterior. 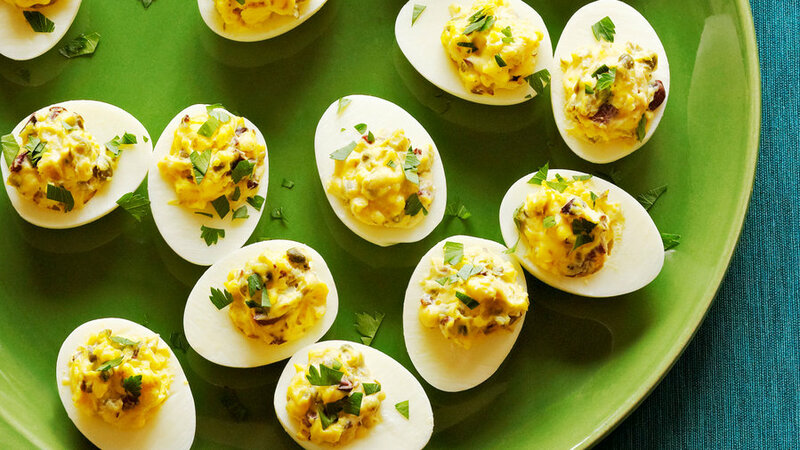 And since they're baked instead of fried, there's no need to worry about overdoing it. 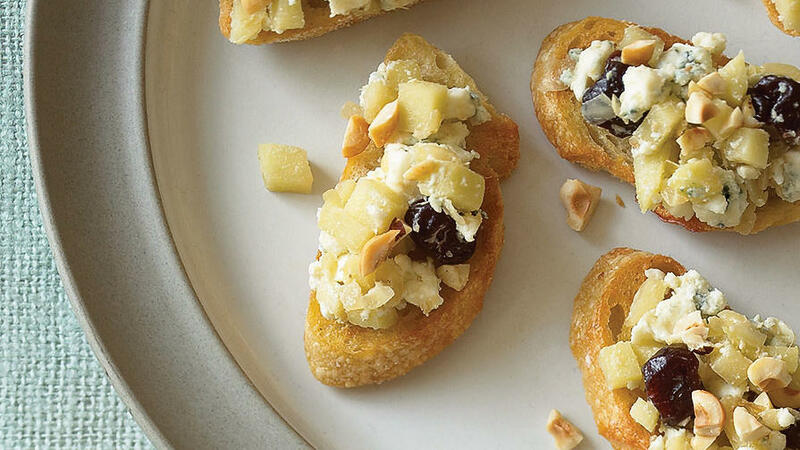 Blue cheese, dried tart cherries, crisp green apples, and chopped hazelnuts bring the tastes of fall to this bruschetta topping. 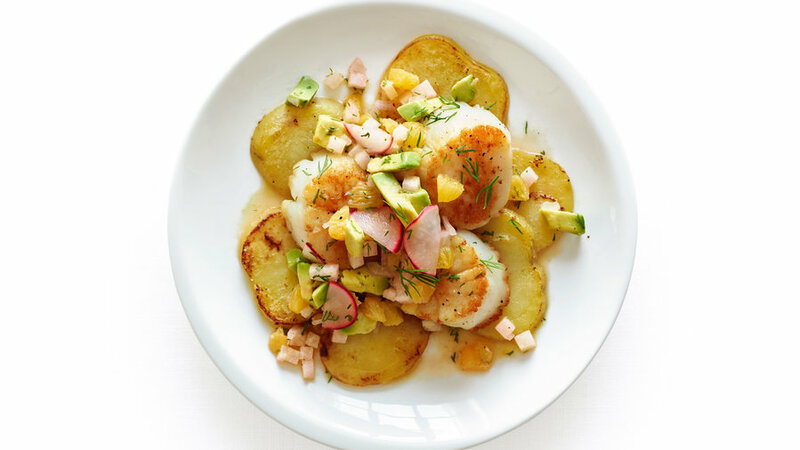 Elegant and fast-cooking, scallops make a smart choice when you’re expecting company on a weeknight.